ALLEGRA BOVERMAN/Staff photo. Gloucester Daily Times. 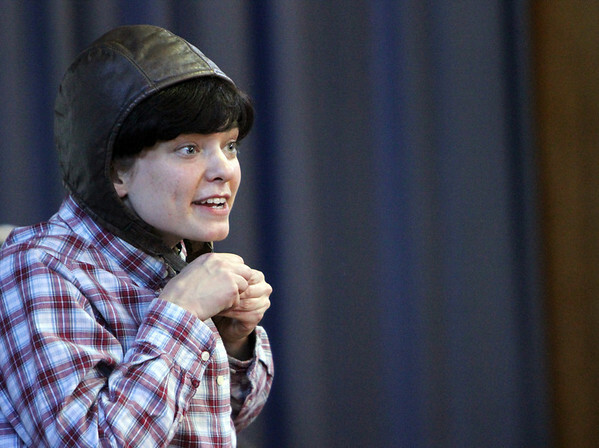 Gloucester: During a "Historical Perspectives for Children" program held at Beeman Elementary School on Friday afternoon, the story of Amelia Earhart was performed for students as part of their enrichment programs. Earhart was the first woman to fly across the Atlantic alone, first person to fly across the Pacific alone and set other flying records.